Sometimes it’s the most obvious things we don’t consider or give a second thought to. We may regret that it seems difficult to get creative with our bathrooms décor, assuming that interior design in a small space is a great challenge. 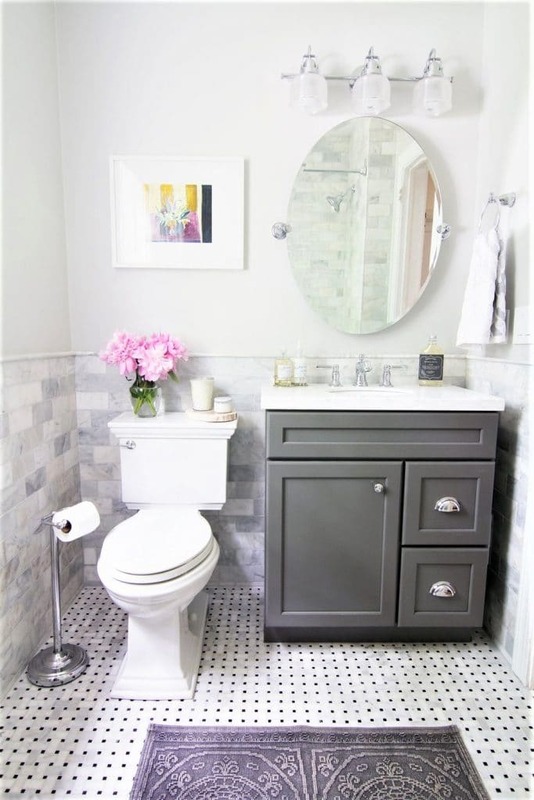 You’ve already got nice paint and tiles, the restroom vanity looks great, where can you go from there? Simplicity, that’s where. Take a few steps back. You are already using accessories that are essential, simply engage that concept a little further and be artistic with it. The best part of it all is that the following suggestions fall into just about any budget. Every sink needs easily reachable soap in the immediate vicinity. It doesn’t matter if it’s a kitchen sink, or the one in the master bedroom or the oft-neglected guest bathroom, you must have soap. But don’t be brutish about it. You can have more class than simply setting a bottle of hand soap from the Dollar Tree store on the counter. You can keep the bottle concept but seek out a dispenser that matches or even complements the decor of your bathroom. You may be surprised by the variety of designs, shapes and sizes they are available in. Of course, if you prefer bar soap, an elegant soap dish can work wonderfully. Of course, there is likely already a toilet paper dispenser, but even that can be upgraded for the benefit of decorative elements. Find a holder that has style. There are all kinds of variations; you could even get a wrought-iron freestanding holder, for a cool vintage industrial look. Or for the rustic image there are plenty of designs carved from wood (you may find plenty of unique often humorous novelty themes as well). There’s a right choice for every personality. One of the easiest and most obvious ways to improve a bathroom appearance is also among the least considered. For those who really enjoy a bath, low lighting and candles are a must. This can be achieved simply with the installation of a dimmer. You can also go the celebrity dressing room route with bulbs all around the full sized looking glass. Even better, incorporate all day natural light with the installation of a skylight (assuming the bathroom is on a top floor). Meanwhile, let’s talk about towels. Each bathroom should have at least two spots for them, naturally. You need to store your dry towels and hang the wet ones. Open stacks don’t hurt either. Towels are a great way to make a statement under any budget. Imagine the impression you could make with a heated towel rack. If you use exposed shelves, show off attractive or monogrammed towels. Sure, you can put your towels in an enclosed cabinet or even in a closet, but there are multiple alternatives to displaying towels. You can have them in a decorative basket on the counter or on the floor, or a selection of them can appear on a door or bathroom cabinet rack. 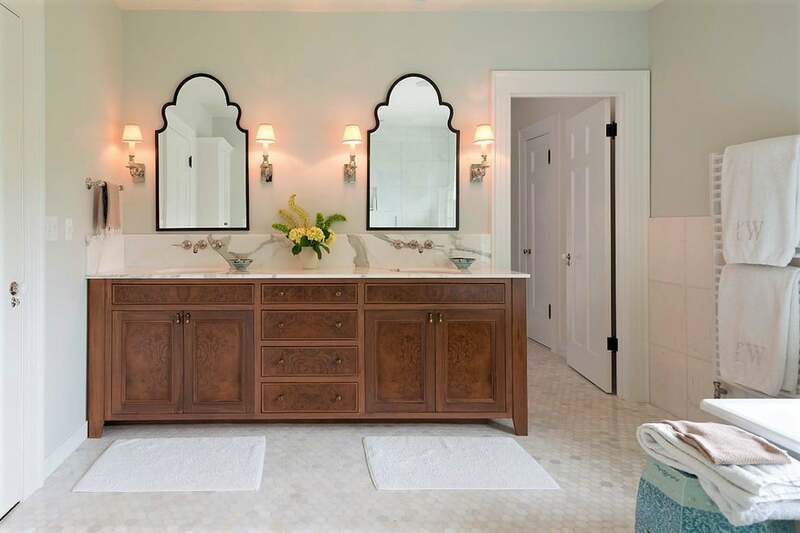 Another integral element to a bathroom’s decor is the placement of mirrors. They are available in all sorts of shapes and sizes, most often seen as a giant square beyond the sink. But you’re not obligated to go that route. You can choose a lovely design instead. They are available in diamond shapes, opals, circles, octagons and all manner of odd shapes. You can also have fun with frames, pick one that best suits your vision, as you’ll discover that they are available in any decor style. If you’ve limited yourself to the shower curtain choices available in a department store, you have been doing yourself a disservice. The types of bold options available can really set the scene in the room. If you don’t find one that’s ideal, do this – pick up a reasonably priced curtain of neutral color to act as a liner. Then check out a fabric store and choose a heavy one that reflects the design of your dreams. This will open up an entire world of possibilities. They may even be able to sew and adjust it there onsite to your showers’ specifications for an affordable cost. The last thing to come to mind probably (when talking bathroom décor) is the waste basket. Certainly, there needs to be one. The alternative can be potentially damaging in the absence of a designated receptacle for folks to toss their trash (you don’t want everything flushed!). But here, too, is another method of bringing a bit of flair to the room. All you need to do is find an elegantly styled waste basket (with a mechanized foot pedal lid) that matches the established décor, and you are completing the effect of an upscale restroom. 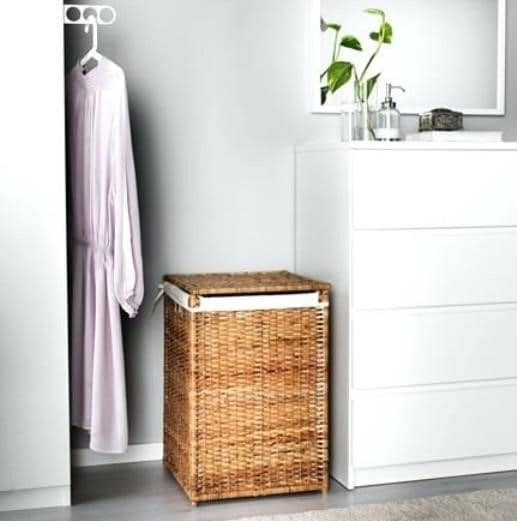 For the homeowners that prefer to keep their laundry basket in the bathroom, here are a couple things to be mindful of – forgo plastic! You didn’t put a lot of thought into the room just to undo it all with the sudden appearance of cheap plastic. Even a large wicker basket with a lid would be a superior choice. Any big decorative container that is moisture resistant can serve to hold laundry, have fun finding the right one! When it comes to interior decorating there are no rules. 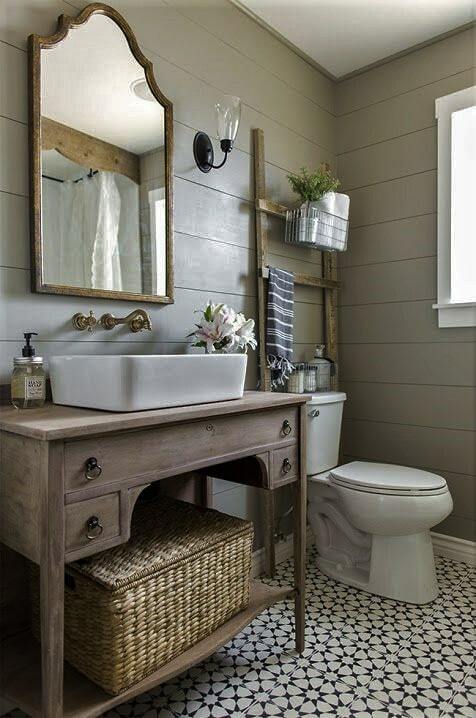 Fill it all out with unexpected touches like crown molding for the bathroom. Maybe a small fountain, a Buddha statue or some large candles will suffice. Whatever strikes your fancy could serve to make a great impression in the bathroom. And if the time comes that you’re ready to sell, a positive impact like that is invaluable.